Dash cam video of a child in a stroller flying out of a car in Minnesota is a reminder why it’s important to check that your car seat is installed properly, officials said. 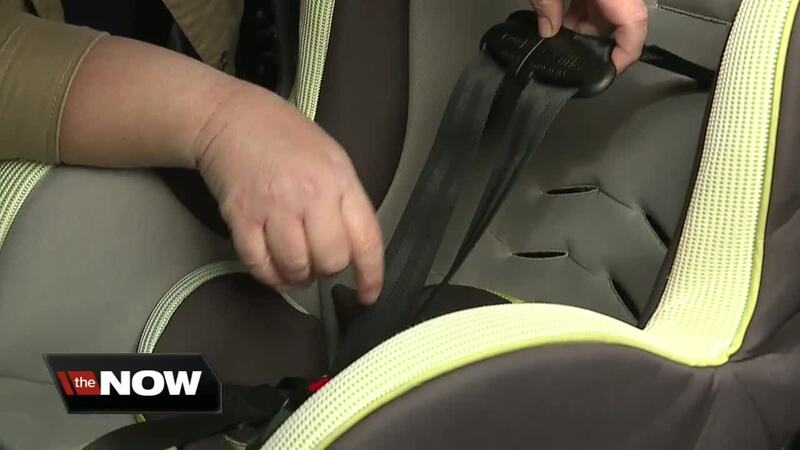 HILLSBOROUGH COUNTY, Fla. — Dashcam video of a child in a car seat flying out of a car in Minnesota is a reminder why it’s important to check yours is installed properly, officials said. AAA Traffic Safety Consultant, Michele Harris, said their company has four offices in Hillsborough County offering car seat inspections. The free inspections are by appointment only. “Take the time to make sure the car seat is right. Don’t assume that your child will be fine and that you will be fine. Crashes happen all the time and you never plan for them,” Harris said. She said there are common mistakes parents can avoid. “A parent will take that chest clip and move it down because they think it’s more comfortable for the baby when in reality they’re really damag(ing).....could damage their child more,” Harris said. Once you click on that you will be redirected to the United States Department of Transportation website. Scroll down until you see that tab that says 'get your car seat inspected at a station near you.' Once you click on that, you can type in your zip code and it will give you a list of businesses closest to you that offer inspections. “That piece of mind is the best thing any parent can have, knowing that their child is protected and safe in their car,” Harris said.